GCSE Results Day 2018: Uptake of music down by over 15% since 2016. 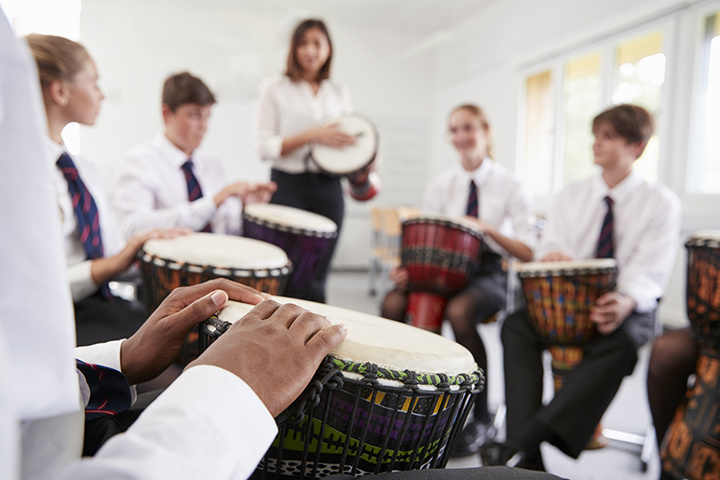 Figures published today – GCSE results day – by the Joint Council for Qualifications show a 15.10% decline in the uptake of GCSE music since 2016 in England. In the past year, there has been a 7.4% decline in the number of GCSE entries in music. GCSE results were awarded today to students in England, Wales and Northern Ireland. ‘Many congratulations to students on their hard work and achievements in GCSE music this year. Over the past two years, the uptake of music GCSE has fallen by over 15% - just this year it has fallen by 7.4%. This is against a background of the government claiming that the EBacc is not detrimental to the take up of arts GCSEs. This is simply not true. We call on the government today to reverse the deeply damaging EBacc policy. More than ever we need a comprehensive education policy which will give our students what they need in a post-Brexit, digital world. The EBacc simply isn’t it. There is a wealth of evidence from highly respected institutions, like the University of Sussex which shows the damage the EBacc is doing year on year. Further, there is also plenty of rigorous academic research which demonstrates the value of music in the development of a child’s character, linguistic and mathematical skills and their ability to problem solve. The Incorporated Society of Musicians is the UK’s fastest growing professional body for musicians and a nationally recognised subject association for music. We were set up in 1882 to promote the art of music and to protect the interests of all musicians. Today we support nearly 9,000 members with unrivalled services and expert advice, from study up until retirement and beyond. We have always been a wholly independent, not-for-profit organisation, allowing us to lobby Government as a united voice for music. We welcome musicians from all areas of the profession including thousands of performers, composers, educators, sound engineers, producers, industry professionals, academics, music therapists and administrators from all genres and musical backgrounds.